The 1890s Marabba West apartment house was known by many names over the years; Virginia Hill Hotel, Hill Hotel, Hobart-Curtis Family Hotel, Jeanne D’Arc Hotel and the Princess. 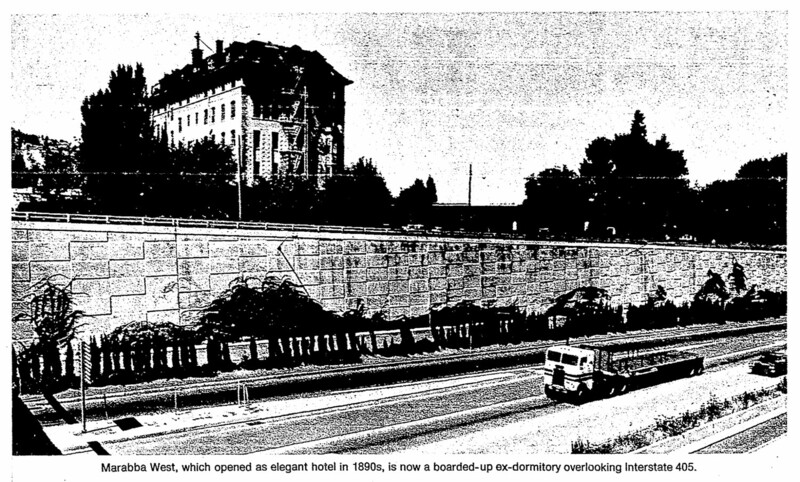 KGW Broadcasting eventually bought the building and wanted to demolish it in order to expand studio facilies and parking at their adjacent property at SW 14th and Jefferson. The city and Portland Development Commision fought to save this building but the city ultimately voted not to purchase. 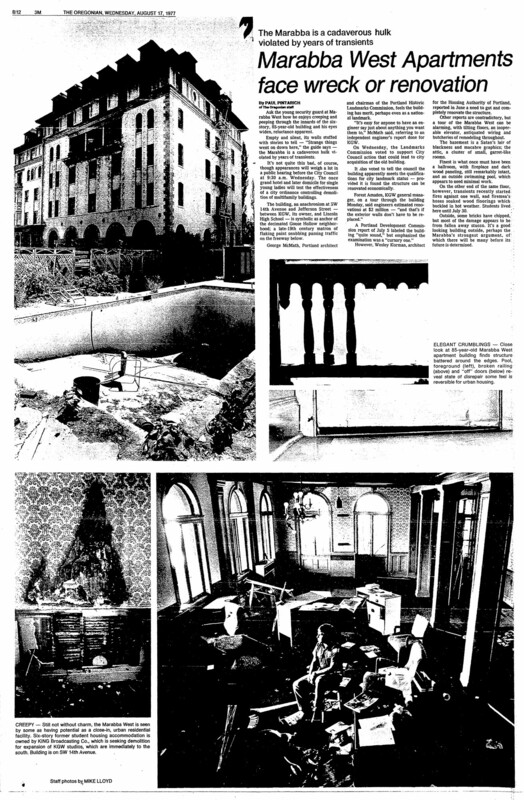 Demolition began the end of September, 1977. The Kamm Estate once was located on the present-day Lincoln High School property, and the Jacob Kamm House, built in 1871, was at SW 14th and Main. 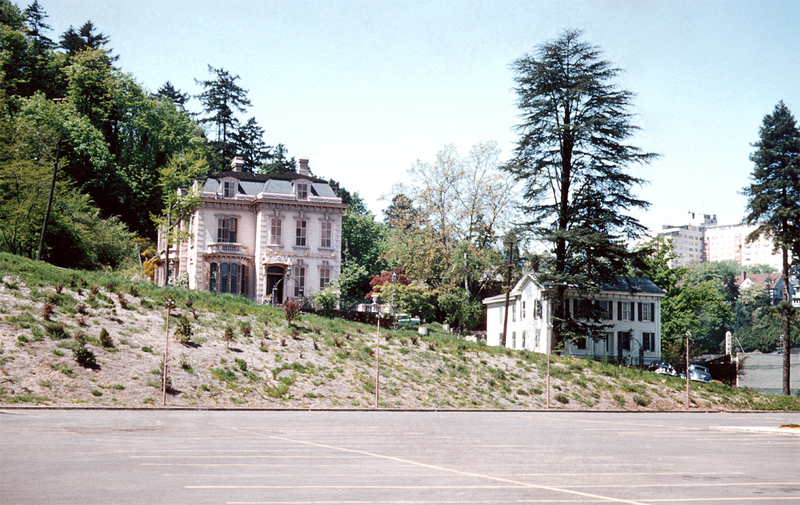 To make way for Lincoln High construction, the house was moved to its present Goose Hollow site (SW 20th just off Jefferson) in 1950. It fell into decline but was restored in the 1980s. It can be see in its original Kamm Estate surroundings in this previous posting from 1894. The house to the right no longer exists. 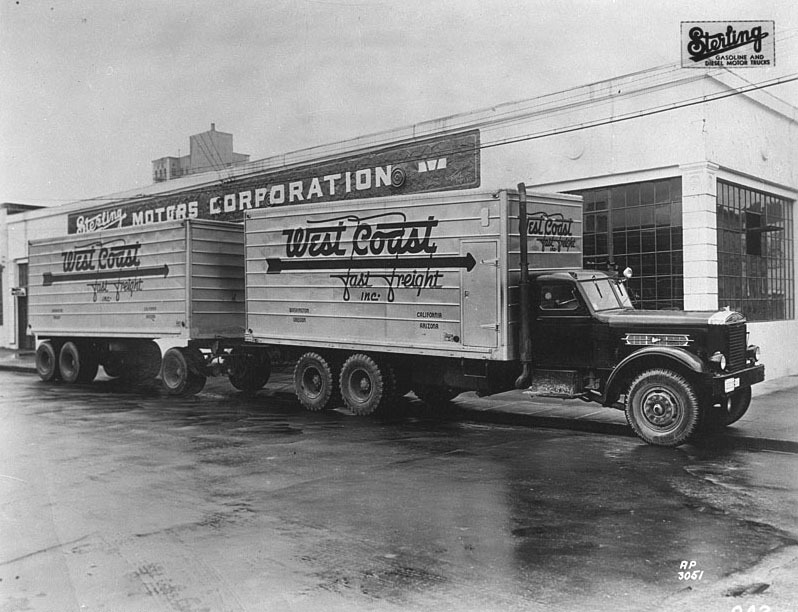 Pat MacPhail sends this photo of the Sterling Motors Corporation which was located at 721 SE Yamhill Street. The building still exists and is the home of Gilbertson’s Machine Shop. The tall building peeking over the roof is the well known Weatherly Building, still standing at SE MLK (then Union) Grand and Morrison. 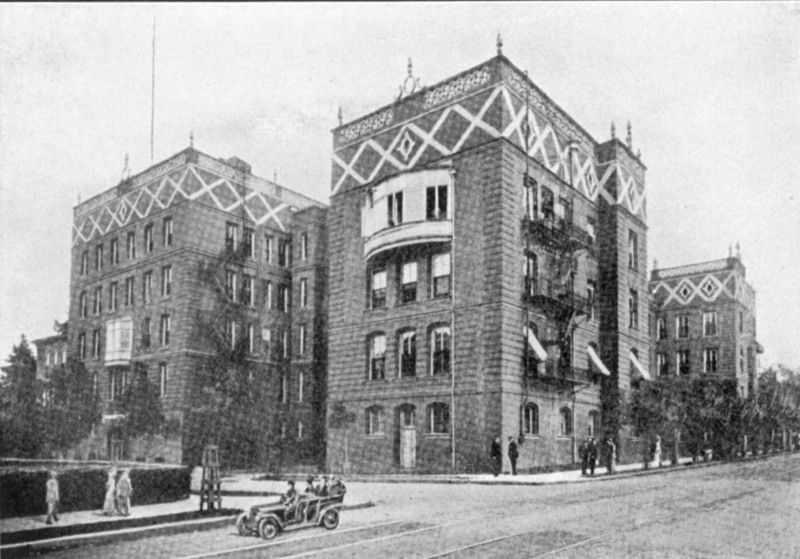 Good Samaritan Hospital has been a fixture at NW 23rd & Marshall for over a century. Although these buildings have long since been replaced, brick is still the exterior material of choice. And the streetcar once again rolls up 23rd. The Oregonian Building was built on the northwest corner of SW 6th and Alder in 1892. 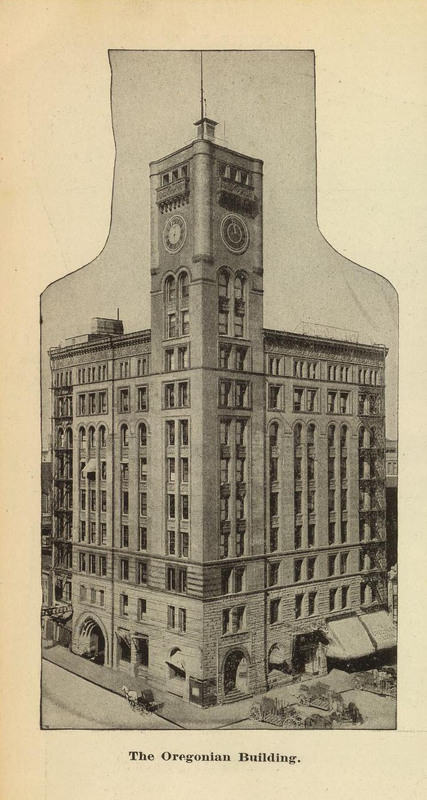 It was demolished in 1950, two years after The Oregonian moved to new headquarters on Broadway. This panorama of downtown Portland was taken from the tower of the old building. 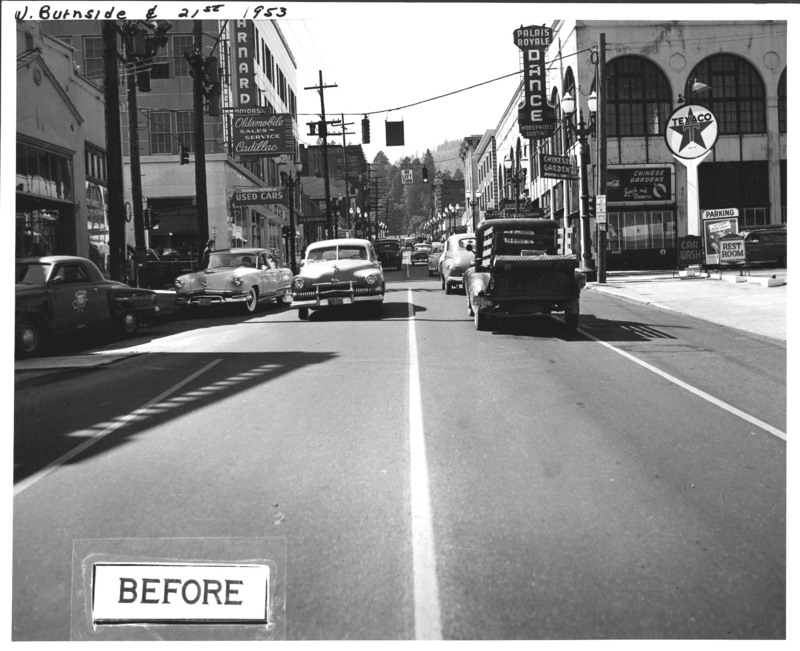 This view of SW Stark Street is looking east between 6th (to our backs) and 5th Avenues. Traffic is one way these days and the Loeb Building is now a parking lot (and a food cart nexus). Astute VP followers zeroed in on the distant white building with arches in yesterday’s post. Opened in 1926 as DeHoney’s Ballroom, it reopened in 1936 as the Uptown Ballroom, as seen in yesterday’s image. It was sold and had a grand opening as the renamed Palais Royale in October 1943. It held its last dance New Years Eve 1962 and was demolished the next month. 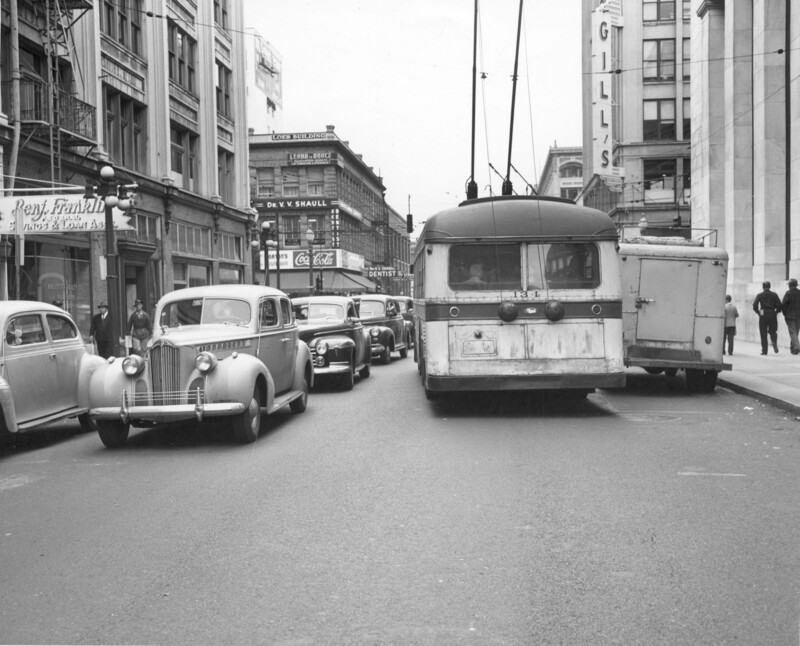 With the exception of the ballroom, this 1953 photo is not much different from what you’d see today.